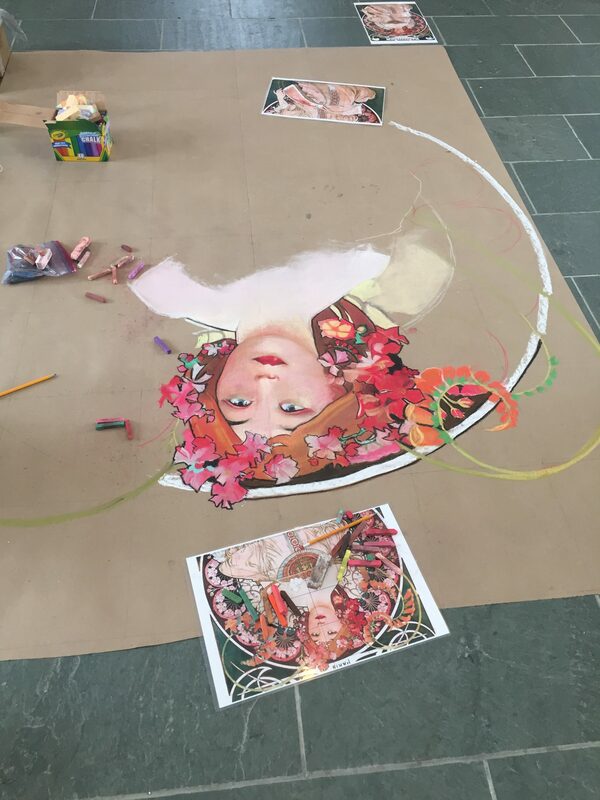 This was a chalk performance piece for the Southern Vermont Art Center’s Thriving Spaces show alongside street artists from NYC and the VT Glass Guild! 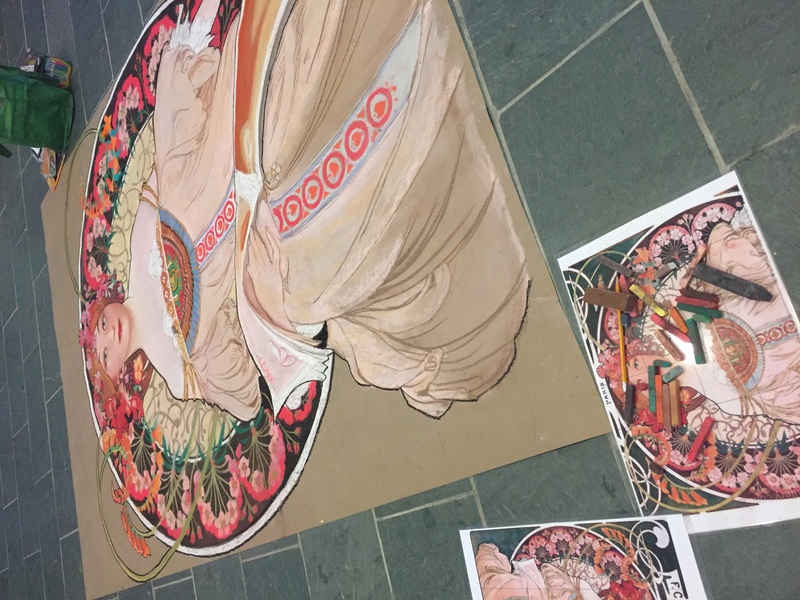 This was a ten-hour blitz of Alphonse Mucha’s famous Champenois poster. 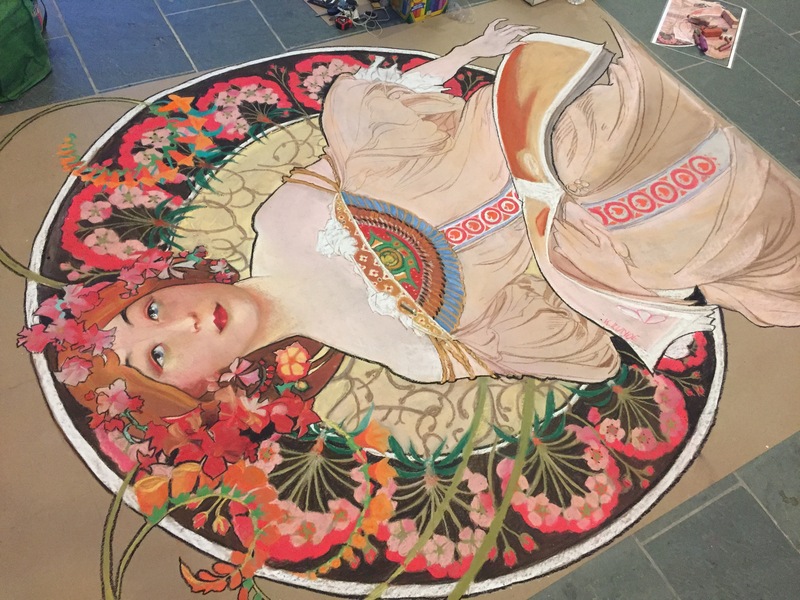 Mucha’s Champenois, 2018, chalk and pastel on ramboard, 8′ x 6′ in 10 hours. 5 hours in with 5 hours to go…time to go into HYPERSPEED!